Cricket is a bat-and-ball sport contested by two teams, usually of eleven players each. A cricket match is played on a grass field, roughly oval in shape, in the center of which is a flat strip of ground 22 yards (20.12 m) long, called a pitch. At each end of the pitch is a construction of three parallel wooden stakes (known as stumps) driven vertically into the ground, with two small crosspieces (known as bails) laid across the top of them. This wooden structure is called a wicket. The bowler, a player from the fielding team, hurls a hard, fist-sized, cork-centered, leather-covered ball from the vicinity of one wicket towards the other. The ball usually bounces once before reaching the batsman, a player from the opposing team. 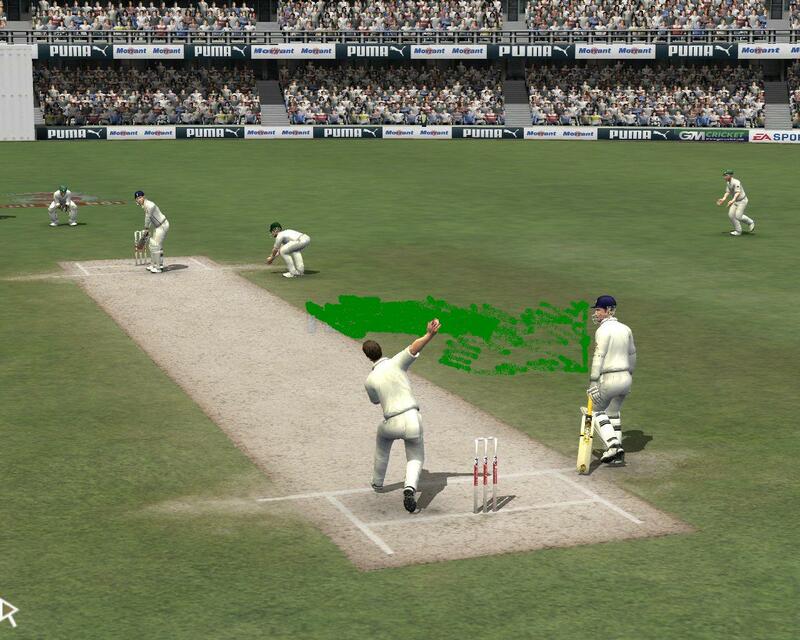 In defense of the wicket, the batsman plays the ball with a wooden cricket bat. Meanwhile, the other members of the bowler’s team stand in various positions around the field as fielders, players who retrieve the batted ball in an effort to stop the batsman scoring, and if possible to get him or her out. The batsman, if he or she does not get out (for example if the bowled ball hits the wicket, or if a fielder catches the ball off the bat before it bounces), may run between the wickets, exchanging ends with a second batsman (the non-striker), who has been waiting near the bowler’s wicket. Each completed exchange of ends scores one run, and the match is won by the team that scores more runs. Cricket has been an established team sport for hundreds of years. It originated in its modern form in England and is most popular in the present and former members of the Commonwealth. Cricket is the second most popular sport in the world. More than a hundred cricket-playing nations are recognized by the International Cricket Council. In the countries of South Asia, including India, Pakistan, Bangladesh and Sri Lanka, cricket is the most popular sport. It is also a major sport in England and Wales, Australia, New Zealand, South Africa, Zimbabwe and the English-speaking countries of the Caribbean, which are collectively known in cricketing parlance as the West Indies. There are also well-established amateur club competitions in countries as diverse as the Netherlands, Kenya, Nepal and Argentina, among others. The sport is followed with passion in many different parts of the world. It has even occasionally given rise to diplomatic outrage, the most notorious being the Basil D’Oliveira affair which led to the banning of South Africa from sporting events. Other examples include the Bodyline series, played between England and Australia in the early 1930s, and the 1981 underarm bowling incident involving Australia and NewZealand.